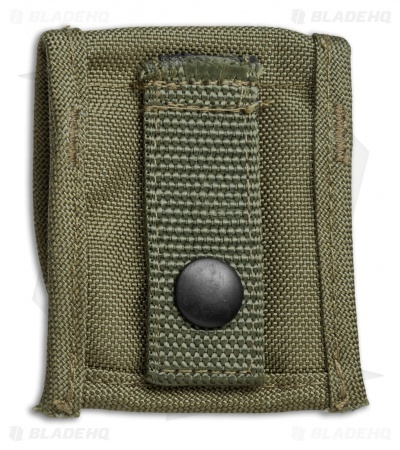 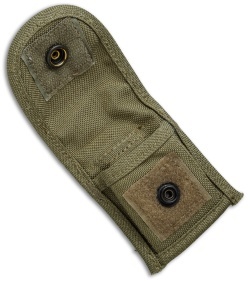 The Maratac lighter case features a 1" belt loop and OD Green sturdy nylon. This case securely holds your standard lighter with the combination of velcro and a snap button. The belt loop has a snap button for easy on and off accessorizing. 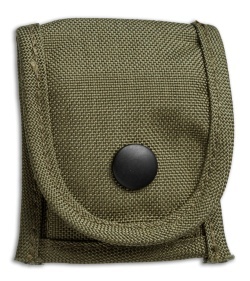 This case is a nice small size for mini survival essentials. Outer Size: 2.75" x 3.5"
Inner Pocket: 2" x 2"
Unfortunately I don't believe normal people own belts narrow enough for this to ever fit on.